Anderson Silva has tested positive twice for doping. First for the steroid drostanolone during an out-of-competition test taken on January 9, 2015 and again at a post fight test taken on January 31. Anderson will deny he tried to cheat to beat the American. However, he will admit he made use of the anabolic steroid drostanolone during recovery from the severe fracture suffered against Chris Weidman at the end of 2013. 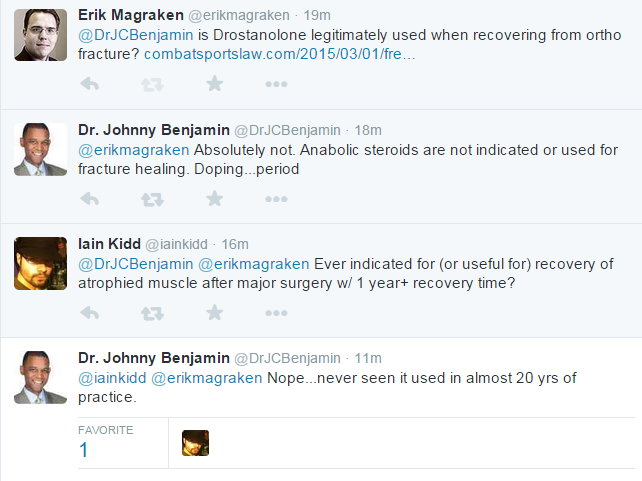 The Brazilian will argue that the anabolic used as a remedy to recover the injured site. 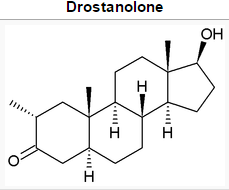 Besides the famous boost in athletic performance function, drostanolone can also be used to strengthen the muscles. At the beginning of recovery, fearing that he could never have a normal or even stay without walking, he used the anabolic with this second order. The strategy of seeking sympathy by pinning the use of the steroid on his previous horrific leg fracture may have worked if that was Silva’s initial move. This is why a staple of legal advice is “shut up”. Out of Court statements rarely do any good other than to incriminate an individual. Here we have an outright denial followed by a reported new strategy to apparently minimize fallout. In other words, if this report is accurate, we have doping followed by lying. Inconsistent statements can kill credibility and all this before Silva’s hearing even begins. Leaving public relations aside, it is no excuse to have a legitimate medical reason for doping if you don’t seek clearance ahead of time with relevant Athletic Commissions, not after being caught.